Jennifer Adam and Vaithianathan (Mani) Venkatasubramanian have been named as endowed professors in the Voiland College of Engineering and Architecture. Adam, associate professor in the Department of Civil and Environmental Engineering, has been named as the Berry Family Endowed Distinguished Professor, and Venkatasubramanian, has been named as the Boeing Endowed Professor in Electrical Engineering. George (Mechanical Engineering, ‘73) and Joan (History, ’72) Berry have provided longtime support for faculty excellence in the areas where they received their educations, specifically in the Voiland College of Engineering and Architecture, liberal arts, and education. George Berry founded an architectural and engineering design firm and then became involved in real estate development. Through their gifts, they are working to assure that future students will have similar valuable learning experiences that they had and access to the highest quality educators. With WSU since 2008, Adam’s research interests include hydrologic impacts of global change, earth systems modeling, and land/atmosphere interactions. In particular, she studies the connection between climate, hydrology, land use, and ecological processes, including how climate variations and human influences interact to alter hydrologic processes. Adam has brought in more than $11 million in grant support and has more than 50 refereed journal publications and conference proceedings. She has received numerous awards, including being named one of the top 100 inspiring women in STEM by Insight into Diversity Magazine. 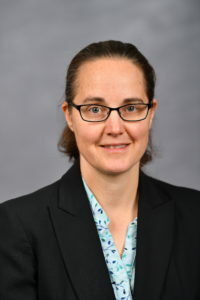 She has also received departmental awards for both her research and teaching as well as the Voiland College of Engineering and Architecture’s teaching excellence award. She also served as associate director of the State of Washington Water Research Center. She holds a Ph.D. and master’s degree from the University of Washington and a bachelor’s degree from the University of Colorado, Boulder. The Boeing Company and WSU have a longtime partnership in support of engineering education. The company supports numerous endowed professorships as well as fellowships, scholarships, learning centers, and mentorship programs. Thousands of WSU graduates have gone on to careers at the company as engineers, computer scientists, and in many other technical and non‑technical fields. Venkatasubramanian’s endowed professorship will support teaching and research in electromagnetics and power systems. 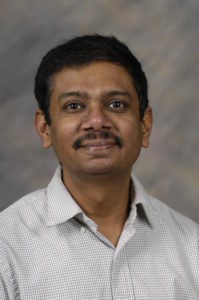 With WSU since 1992, Venkatasubramanian holds several patents for real‑time stability monitoring in power systems using synchronized wide‑area measurements. He conducts research in the area of power system dynamics with an emphasis on stability and control. This includes monitoring and control of oscillations and voltage collapse in power systems and analysis of complex nonlinear behavior in large power system models. Stability monitoring applications developed by his research group have been implemented in several power systems around the world. He has received more than $11 million in research funding. He has published 120 refereed journal and conference publications, and has coauthored a book on synchrophasor applications. He served as an invited member of the task teams that investigated the 1996 western American blackouts and the 2003 Northeastern blackout. He is a fellow of the Institute of Electrical and Electronics Engineers (IEEE) and is a recipient of a National Science Foundation Young Investigator Award. He holds a bachelor’s degree in electrical and electronics engineering from India’s Birla Institute of Technology and Science. Additionally, he holds a master’s degree and a doctorate of science and engineering degree in Systems Science and Mathematics from Washington University, St. Louis.